Through funding from the Government of Canada, construction of the SFHC Farmer Research and Training Center is underway. When completed, the Center will serve as the base of all SFHC activities. The SFHC Farmer Research Center will provide space for classrooms, offices, farmer meetings and a dining hall. A kitchen provides space for recipe testing and meal preparation. Dormitories are planned to allow visiting farmers a chance to stay and take part in SFHC activities onsite, and also facilitate visits from collaborating researchers and students. Construction on the Center is still in progress. Read about our fundraising goals here. 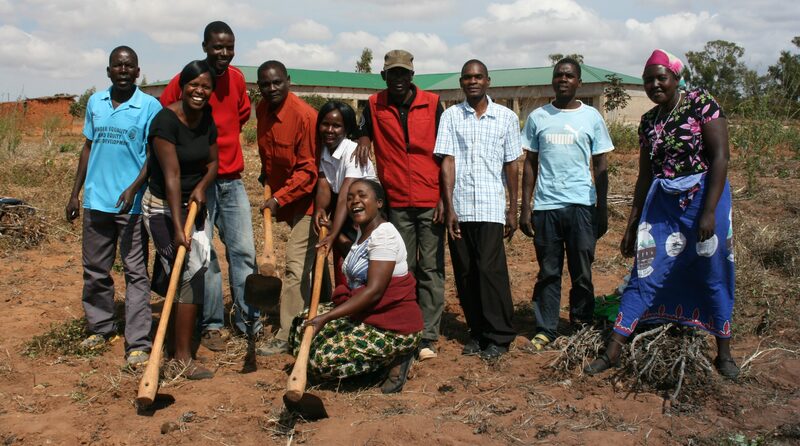 Esther Maona, member of SFHC, who is explaining the fruit trees and herbs that have been planted. An acre of land surrounding the center is devoted to gardens, designed to demonstrate agroecological farming methods and serve as resources for training. At the moment, there are three main gardens and one orchard under construction. The Dryland Garden has three sections. Section A is planted with cereals (fingermillet, maize, pearl millet, and pumpkins) intercropped with beans, cowpeas and pigeon peas. Section B is planted with mung beans, jugo beans and ground nuts, mixed with non-legumes like okra, sunflower and pearl millet. 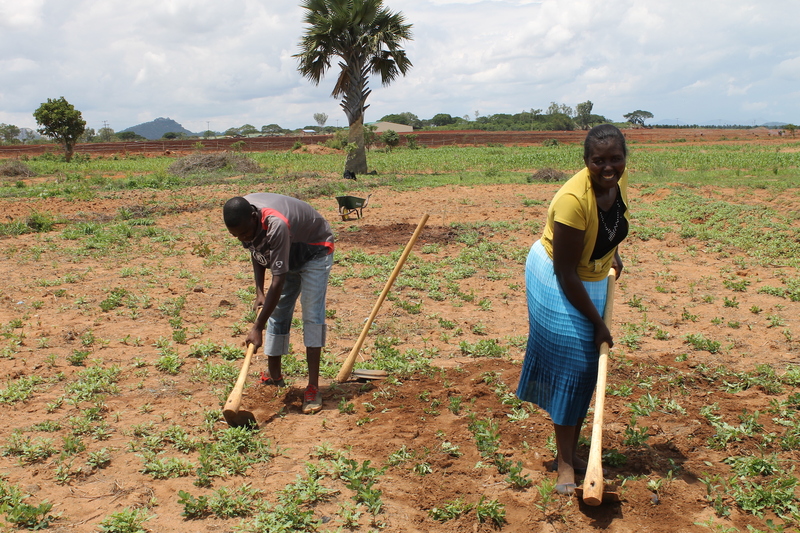 Section C is planted with tubers (cassava and four varieties of sweet potato) mixed with beans and pigeon peas. The Vegetable Growing Area has five sections, including legumes, leafy greens, fruits, herbs, roots and tubers. 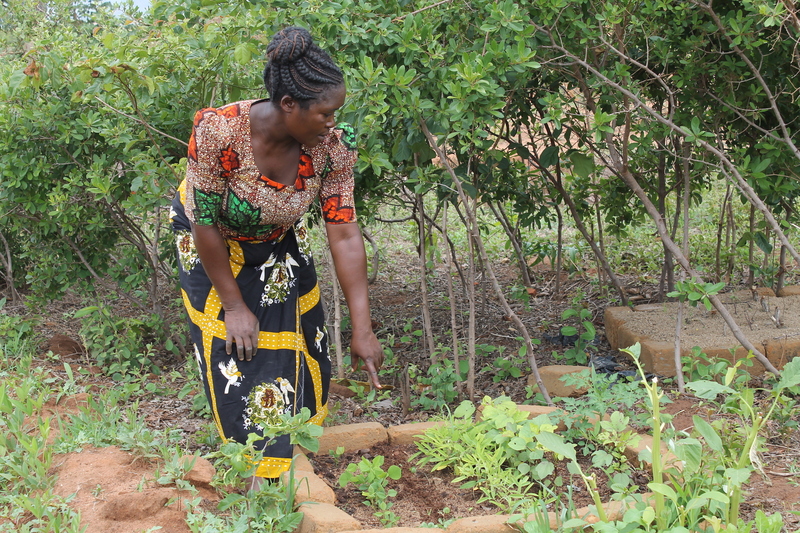 The Herb and Medicinal Growing Area has a wealth of medicinal plants, herbs and spices, including ginger, African potatoes, fennel, comfrey, and yarrow. 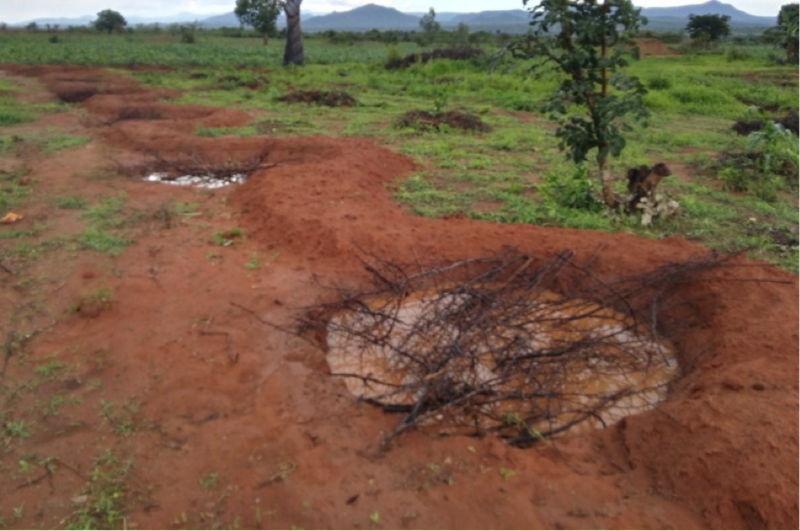 The Orchard includes collection pits (shown below) that serve as a water supply for banana trees. Water harvesting for banana pits.